The shipment was slow. The surprise will be delayed for some of my companions. But I like the quality of the cards very much now it is the wait for their important day. Most perfect card for those who have everything! My family enjoyed wearing these so much that I have saved them for future celebrations. Good for parties or individuals. 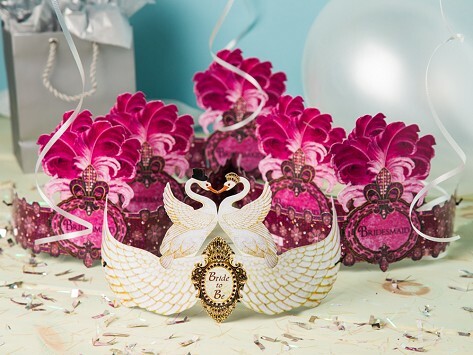 When I mail the crowns to an individual, I will usually (but not necessarily) place the crown inside a regular greeting card and write a note such as, "Wear your crown proudly. You are the queen of this day". My friend was having a hard time & I sent her one of these. She put it on, took a picture & posted it online. It really made her day. I like these crowns so much that this was my second order.Grown-ups are really big kids on their birthdays and I notice, once on their head, the crown doesn't come off until the festivities have ended! I am going to wear one on my own birthday! I bought these wearable crown cards because they were unique and cute. I also thought that when I gifted them to my husband, kids and friends, they might put their crown on for a second to humor me, and then take it off -- but from my snarky 17 year old to my 82 year old mom, every single person I've given a crown card to has worn it for hours. They are beyond cute and look great on the wearer. It''s so much fun giving away these crown cards. I bought several cards for different occasions. 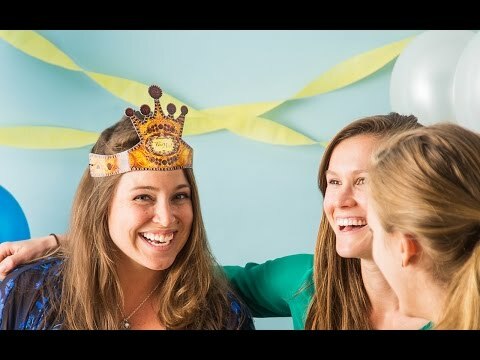 I gave the "Bride to Be" card to my daughter at her bridal shower and it was a hit! She wore it the whole day!! Can't wait to give the others!! I got the Wedding Party pack and I cannot wait to see them on the ladies in my Daughter-in-Law's group! They are unique, no one else has ever seen anything like them and the Vintage feel is perfect! Thanks! Your cards are great. They are unique and well done. I sent one to a friend for her birthday. SHE LOVED IT! I will be looking to see what else you come up with.